Just get right in there and audit! You can’t hear what the pc said, well, put your ear over close to his face! And he seems to be trying to blow or something of the sort or appears very nervous, well, hold him in the chair! And you don’t think he’s listening to you very good, give him a solid comm line of an arm. In September 1959, Soviet Premier Nikita Khrushchev was in the United States. Despite the apparent cooling of tensions between the world’s two “great powers” that had led to this meeting with US President Eisenhower, the Russian leader startled his American hosts with a blunt and brutal speech on the possibility of nuclear war. And indeed, it was a threat that continued to loom large in people’s minds and in the culture, dramatized in the movie, On the Beach, which envisioned a planet devastated by World War III. 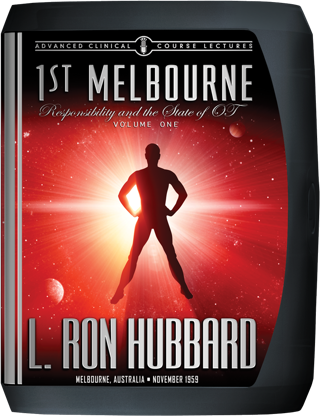 So it was that early in November 1959, Mr. Hubbard left England and, after a stop in Calcutta, landed in Melbourne on 5 November to deliver a Congress imparting the responsibility Australian Scientologists must take for the world at large. 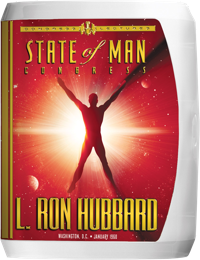 And considering it was the first ever to be presented by him in Australia, the turnout was—as one local publication described—“a giant Congress” before hundreds of wildly enthusiastic Scientologists and their friends. Tone Arm—how to bring it down and to a Clear meter read. Summarizing it all, what he had provided was a technology that not only spans all types of auditing and underlies case gain at all levels, but shatters the very barriers that lie in the path of every being as he ascends toward ever-greater levels of spiritual freedom. 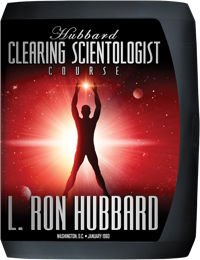 Thus, when postulating all that meant, L. Ron Hubbard would thereafter speak in terms of a brand-new look leading to a brand-new Earth.